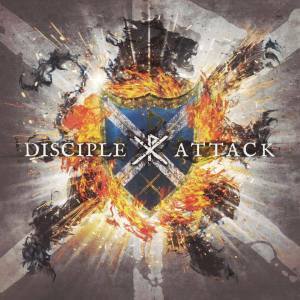 Attack is somewhat of a return to roots for the Kevin Young fronted rock band Disciple. 2012’s O God Save Us All was widely considered a misstep for a band used to churning out excellence record after record. Disciple has always been one of the heavier Christian rock bands around, with over 11 albums under their belt, so it shouldn’t surprise anyone that Attack is full of heavy guitar licks and lots of Kevin Young screaming. There is hardly a soft song on the twelve song tracklist. However, the rockers on Attack are more melodic and more anthemic than their previous albums. “Dead Militia” and “Attack” are especially catchy, and “Radical” is sure to be a fan favorite battle cry. Attack’s rockers are great, but the lyrics are what sets the album apart. “Scarlet” reminds me a lot of something off Scars Remain or Horseshoes & Hand Grenades, and it’s a particular highlight. Attack is just a fun album to listen to. It may not be as deep as previous albums, but there is definitely a lot of passion poured into the album that should bleed into its target audience. These songs are going to be great in concert. Attack’s unabashedly Christian message is what sets it apart from other bands in the market, but it’s backed by solid music and solid production. If you, like me, were hesitant about the band’s future after O God Save Us All, rest assured, that Disciple is back and as good as ever. I’ve never really listened to Disciple either, although I think maybe in the future I will listen to a few of their albums… inclusive of this one! I’ve been a Disciple fan for about 10 years now, and based on what I’ve heard on this album, this is better than their last 2 at least, maybe better then their last 3. Joshua and Luc, Scars Remain might be the one album all Disciple fans would tell you to listen to first. Their self-titled album was the beginning of their current sound in a way, everything before that was heavier, and less melodic, but mostly everything since the self titled has been heavy, but melodic at the same time. Their Southern Hospitality album has HUGE southern rock feel to it. The album is now available to listen to on New Release Tuesday album preview! Sorry for a late comment, but after having listened through this album multiple times now, I have to say it’s one of the best rock albums of the year. And yes, I have to say it even beats for King and Country’s newest, which is quite a feat Love every song and the fact that they still rock out. And also O God Save Us All is amazing! Gee it’s even better than fK&C? Really? I’ll have to give this album a listen, thanks for the recommendation Luc!